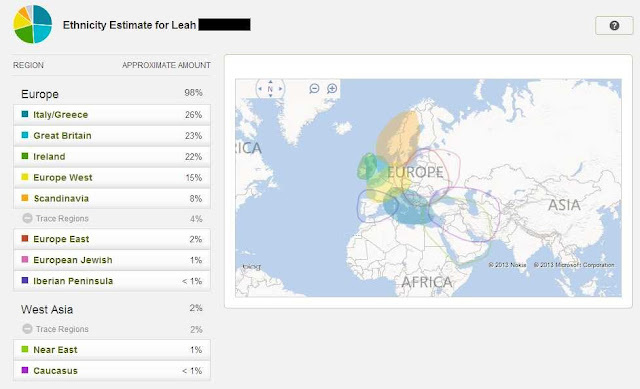 I was pleasantly surprised to see that Ancestry had updated my DNA results (above). I was even more pleasantly surprised to see how detailed my new estimates were. None of the above is unexpected to me. Since a quarter of my ancestry comes from Southeastern Italy, I think that is where most, if not all, of the small percentage returns originate from.